At the end of the day, it’s all about creating meaningful relationships with your audience. 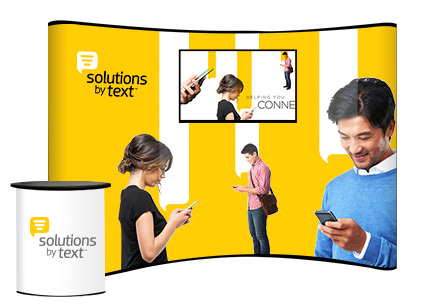 Solutions By Text is a text messaging platform designed to build those relationships through the most effective communication channel that exists in the world today. SBT hired us to walk them through our signature branding process called Ovrflo. It brought clarity to their purpose, and aligned their marketing and communication strategy with their vision. We delivered a set of tools that unifies their team around their key differentiators and helps them communicate it with consistency. We then applied to strategy to their website, collateral, and other marketing assets. The online brand center is a website that delivers the SBT brand guidelines online. There are many benefits to having this content online as opposed to just a the typical PDF file. It allows for more tools to be distributed from one source, as well as being more interactive and memorable. The online version is easily updated and added to, making it the most accurate source for how to represent the brand. Team members and vendors can quickly and easily find the information they are looking for and it focuses them on the core brand message before they dive into the details, ensuring that the brand message is understood. SBT’s software is the finish line for all of their marketing efforts. This is where their customers use their product. It’s where all the promises are delivered. We wanted to make sure that when people logged in that the consistent, high-quality brand experience continued within the software. From typography and layout to imagery and user flow, we applied all the elements that we defined in the brand guidelines and made sure the SBT development team had all the assets they needed to apply to their software.